As we go about our daily routines, we don’t often consider that our city is governed by a multitude of various Ordinances & Codes that have been established over the years that help make our community a better place to live. Before undertaking a building project, have you ever wondered if there is a City Ordinance that establishes some guidelines to follow? Or when winter weather sets in, have you given any consideration regarding what our responsibility is to help facilitate snow removal? for the City of New Sharon on this website for you to refer to whenever any of those questions arise. You don’t have to contact your council person or Mayor for the answer, it can be found here. 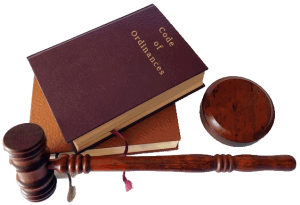 Take a minute to browse through the pages of this document and make yourself familiar with the the ordinances & codes that help make our city function. No building or other structure shall be erected, altered, used or occupied within the City without first receiving a permit therefor. Application shall be made in writing and filed with the Clerk of the City of New Sharon. If you have questions relating to the issuance, exemptions and requirement for a drawing of the proposed work to be done, please review the documentation BUILDING PERMITS by following the link provided below. To make application for a building permit, click on the links provided to receive yours.